El Dorado was directed and produced by Howard Hawks. Hawks, who had directed John Wayne previously in Red River and Rio Bravo (some say El Dorado is a remake of Rio Bravo) cast 58 year old Wayne as Cole Thorton a gun for hire who has come into the town of EL Dorado at the request of Bart Jason, a wealthy rancher who wants to drive out the McDonald family. The McDonalds had worked the land for a number of years and had slowly built their ranch into a prosperous enterprise. Robert Mitchum stars as J.P. Harrah the sheriff of the town of El Dorado and a close friend of Cole Thorton. Meeting Thorton in the saloon Harrah convinces Cole to not work for Bart Jason. Thorton rides to Jason’s ranch to deliever the bad news that he won’t take the job. Unbeknown to Thorton a rider has been sent to the McDonald family to warn them that the hired gun Cole Thorton has come to town to drive them out. The father of the McDonalds sets his youngest son to watch for Thorton and fire a shot if he sees him coming. The boy falls asleep at his watch and when Thorton coming back into town after turning down Bart Jason’s offer the boy awakes and seeing Thorton fires a shot. Thorton thinking he is being ambused returns fire gut shooting the young man. By the time Thorton reaches the boy the pain is too great for the boy and shoots himself after telling Thorton his name. Thorton takes the dead body of the boy home to his parents where he tells the family what happened. The hot-headed sister of the boy calls Thorton a liar and rides off the ranch. Later as Thorton rides back to the town the sister shoots Thorton in the back saying that he won’t be killing little boys any more. Thorton while wounded isn’t dead as he knocks the feet out of the young girl and throws her rifle into the stream. He leaves town with a bullet in his back and troubled by the events. James Caan stars as Mississippi (his real name is Alan Bourdillion Traherne) a young man who is handy with a knife but hopeless with a gun. This is a great movie and very enjoyable to watch. A. The Bible evidences itself to be God’s Word by the heavenliness of its doctrine, the unity of its parts, its power to convert sinners and to edify saints; but the Spirit of God only, bearing witness by and with the Scriptures in our hearts, is able fully to persuade us that the Bible is the Word of God. 1 Corinthians 2:6-7 Yet among the mature we do impart wisdom, although it is not a wisdom of this age or of the rulers of this age, who are doomed to pass away. But we impart a secret and hidden wisdom of God, which God decreed before the ages for our glory. Psalm 119: 129 Your testimonies are wonderful; therefore my soul keeps them. Acts 10:43 To him all the prophets bear witness that everyone who believes in him receives forgiveness of sins through his name. Acts 26:22 To this day I have had the help that comes from God, and so I stand here testifying both to small and great, saying nothing but what the prophets and Moses said would come to pass. Psalm 19:7-9 The law of the Lord is perfect, reviving the soul; the testimony of the Lord is sure, making wise the simple; the precepts of the Lord are right, rejoicing the heart; the commandment of the Lord is pure, enlightening the eyes; the fear of the Lord is clean, enduring forever; the rules of the Lord are true, and righteous altogether. 1John 2:20-27 But you have been anointed by the Holy One, and you all have knowledge. I write to you, not because you do not know the truth, but because you know it, and because no lie is of the truth. Who is the liar but he who denies that Jesus is the Christ? This is the antichrist, he who denies the Father and the Son. No one who denies the Son has the Father. Whoever confesses the Son has the Father also. Let what you heard from the beginning abide in you. If what you heard from the beginning abides in you, then you too will abide in the Son and in the Father. And this is the promise that he made to us— eternal life. I write these things to you about those who are trying to deceive you. But the anointing that you received from him abides in you, and you have no need that anyone should teach you. But as his anointing teaches you about everything, and is true, and is no lie—just as it has taught you, abide in him. 2 Corinthians 3:14-17 But their minds were hardened. For to this day, when they read the old covenant, that same veil remains unlifted, because only through Christ is it taken away. Yes, to this day whenever Moses is read a veil lies over their hearts. But when one turns to the Lord, the veil is removed. Now the Lord is the Spirit, and where the Spirit of the Lord is, there is freedom. I’m of two minds regarding this first, I really liked Rich Mullins I had the privilege of seeing him in concert I could see that he was really passionate about his music and about getting out the gospel to the disenfranchised. 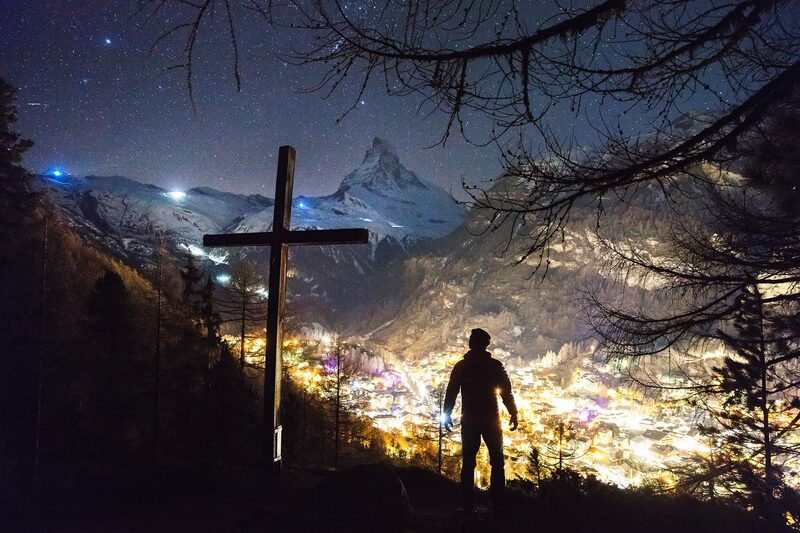 So how do you capture that on film since the man that has that passion is with the Lord? Second if the production quality isn’t excellent what a disservice to those who knew Rich. And just when you thought this question was answered (Goodbye Rob Bell) comes the movie about hell. I love the info about it and I quote: “Featuring an eclectic group of high profile authors, theologians, pastors, social commentators, musicians, exorcists and people who claim to have experienced the fires of hell firsthand, Hellbound? is a feature-length documentary that asks why we are so bound to the idea of hell and what our view of hell reveals about how we perceive God, the Bible and, ultimately, ourselves” MEH. Parting shot: When did Christianity suddenly decide that movies were how we discuss theology? I’m sure that unless you’ve been hiding under a rock or Amish that your aware of the flap about the president of Chick-fil-A stance on traditional marriage (may his tribe increase). Of course this has provoked a media storm with an actress, muppets, and a mayor getting into the act. Now former Arkansas governor Mike Huckabee has called for a Chick-fil-A appreciation day. Speaking of things to think hard about; Frank Turk has a posted: “Why Christians are Idiots”. Frank always make me see things from a different perspective even when I don’t want to see that perspective. Especially when it comes to things like culture and the gospel. Here is a rendition of the classic Beatles song done by Walk off the Earth. I saw this movie over the weekend and I’m going to relegate my comments to the movie and not what happened in Aurora Colorado. Now there has been some criticism of Nolans last part of the triptych that is his portrait of Batman. And I think it is undeserved this is a good finale of the series. It is fast paced and action packed and any reservations I had about the cast ended when I saw the movie. Warning what proceeds next is guaranteed to have spoilers in it no exceptions. It’s been eight years since the death of Harvey Dent, Gotham is enjoying a low crime rate and Batman hasn’t been seen nor has Bruce Wayne he’s locked himself away in his Wayne Manor not coming out for anything not even charities that the Wayne Foundation sponsors. It’s now we also meet Bane a masked figure whose enigmatic origins are told through out the movie. What is obvious is that he is the leader of a cult of warriors that have a specific goal in mind: the destruction of Gotham City. We also meet Selina Kyle a thief that has been hired to get something from Bruce Wayne, in fact Bruce Wayne surprises her in the east wing of his mansion with his mother’s pearls around her neck. As he confronts her the facade that she used to enter the house is stripped away and she displays her true self escaping at the same time. This is the catalyst that Bruce Wayne needs to arouse himself of the lethargy that has been his life for the last eight years. We also see James Gordon a man who has held onto a secret that he desperately wants to share but can’t because it would mean the end to the peace that the secret has wrought. But the secret has cost him, his family is gone and his resolve has been shaken. His career will soon be over there isn’t a need for a warrior in peace time. Once Bane enters Gotham everything changes, the peace that Gordon wants ends; his police force trapped and neutralized by Bane. Bruce Wayne is unmasked his back broken and placed in a hell hole of a prison by Bane kept alive by his captors and forced to watch on a TV the reports of his city’s demise. And Gotham itself has been changed its been given over to the “people” and separated from the rest of the country with the threat of ultimate destruction if any outside force comes in or if they let the people of Gotham out. All of this plays out in a quick pace with an excellent score to a satisfying conclusion. This movie gets a thumbs up from me. Word of God, the only infallible rule of faith and practice. And this is for Frank Turk who can’t seem to get why Firefly is popular. 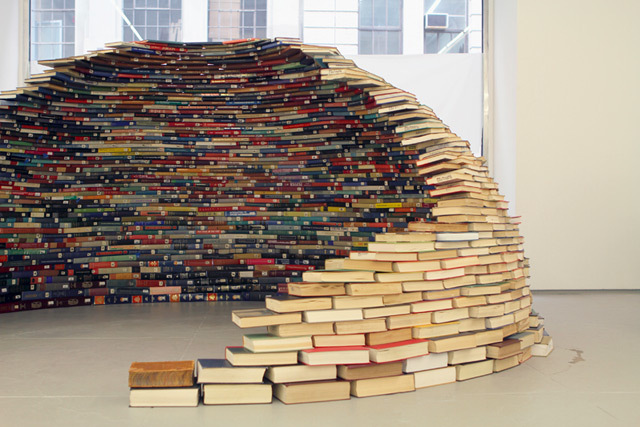 What do you do with your old books? I put them in storage or they just line my various bookshelves around the house. But this guy decide to do something constructive with his old books. Speaking of Mitt Romney Dan Phillips has an excellent suggestion for those who want to write in their perfect candidate. Is Christianity the worst source of all the evil in the world? Professor John Stackhouse has an excellent answer. And last but not least what celebrities would look like if they were real people . The most egregious examples of this is the Small World theme song and Mmmbop by Hanson. As I have what can only be called an eclectic taste in music covering a wide range and style (I’m equally at home listening to Old Blue eyes and Brad Paisley) my earworms are always the outside the norm. With that in mind I give you Pomplamoose. Romans 1:18-20 For the wrath of God is revealed from heaven against all ungodliness and unrighteousness of men, who by their unrighteousness supress the truth. For what can be known about God is plain to them, because God has shown it to them. For his invisible attributes, namely, his eternal power and divine nature have been clearly perceived, ever since the creation of the world, in the things that have been made. So they are without excuse. 1 Corinthians 1:21-24 For since, in the wisdom of God, the world did not know God through wisdom, it pleased God through the folly of what we preach to save those who believe. For Jews demand signs and Greeks seek wisdom, but we preach Christ crucified, a stumbling block to Jews and folly to Gentiles, but to those who are called, both Jews and Greeks, Christ the power of God and the wisdom of God.